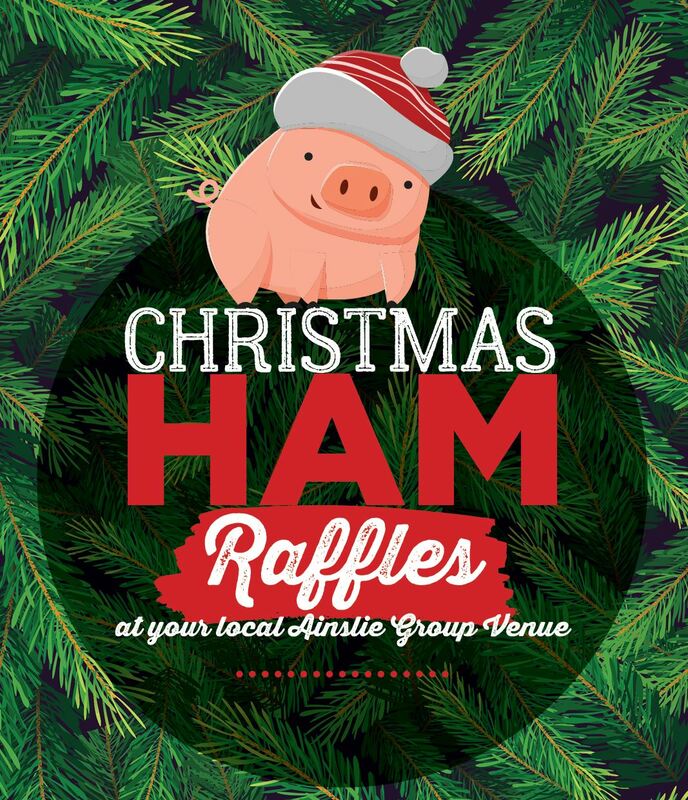 Head to your local Ainslie Group venue each week leading up to Christmas for our Christmas Ham Raffles fresh from The Butcher Shop! Tickets start from $1 for 5 numbers! Starting from Wednesday 28th November to Friday 21st December. 30 x Christmas Hams every Wednesday! 30 x Christmas Hams + 2 x Major Prizes every Friday! Ainslie Group isn’t just your home for Christmas Ham Raffles, we’ve got all your 2018 festive season needs covered! Or click here to see what we’re giving away in this years Lakes’ Christmas Toy Raffle – happening on Tuesday 11th December 2018 – DON’T MISS IT!